Guided by Michael Mills, this short Birding Africa tour to Ghana affords participants the opportunity to see the spectacular Yellow-headed Picathartes, one of Africa’s most unusual and desirable birds. We will visit an area with about 30 nests on two consecutive days, because we know how hard it is to fully appreciate this amazing species during a single visit. The birds won’t be breeding, but we expect to see birds coming in to roost in the late afternoon. 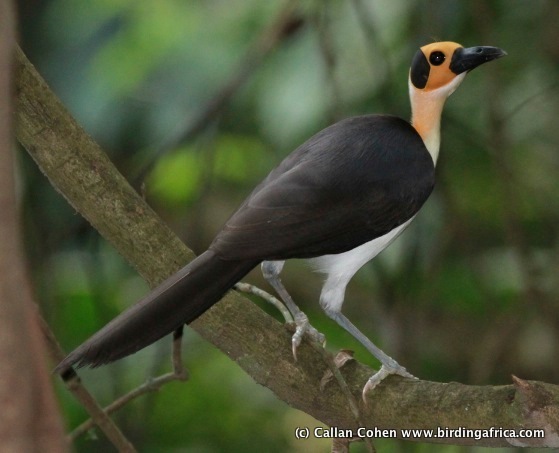 Besides seeing the Yellow-headed Picathartes (or White-necked Rockfowl) we will also have the opportunity to sample a rich variety of forest birds, including several Upper Guinea endemics, in and around the famous Kakum National Park. 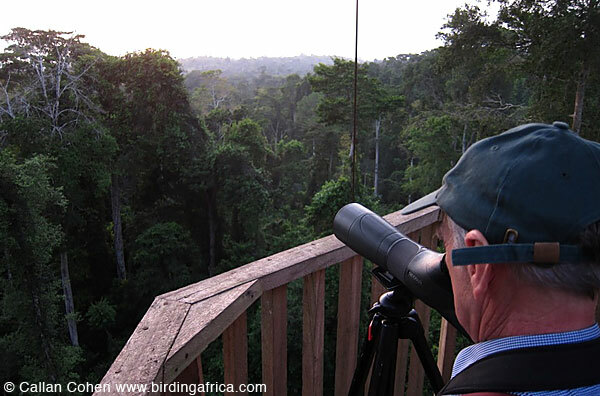 One of the highlights of the trip will be birding from the canopy walkway in Kakum forest. The tour starts and ends in Accra. Our 8-day itinerary includes the Shai Hills, the Cape Coast, the canopy walkway and Aboabo in the Kakum Forest and the Atewa Forest. 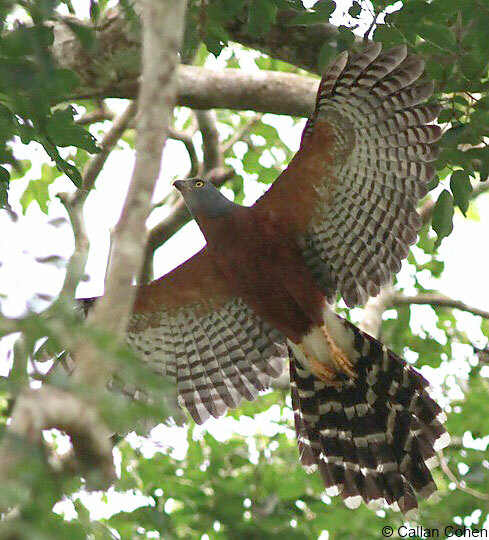 Our Extension Tour adds another 3 days birding in and around Atewa Forest. Click here for one of our detailed itineraries. See some photographs of Congo Serpent Eagle and other secretive raptors taken by Callan Cohen leading a Ghana tour. Focus Yellow-headed Picathartes, one of Africa's most unusual birds. For keen birders. Fitness A moderate level of fitness is required. Most walks will be gentle and across relatively flat terrain. Timing This tours runs during the dry season, when access to sites is easier and birding is unlikely to be interrupted by rain. Comfort Basic but reasonably comfortable accommodation, mostly with air-conditioning. Group Size This depends on the particular trip. Please enquire. Top birds Yellow-headed Picathartes and "Upper Guinea" endemics such as Brown-cheeked Hornbill, Sharpe's Apalis, Grey-headed Bristlebill. Top mammals The flying squirrel Pelís Anomalure, the strange and primitive primate, Potto, Lesser Spot-nosed Monkey, Loweís Monkey and the very rare Olive Colobus. 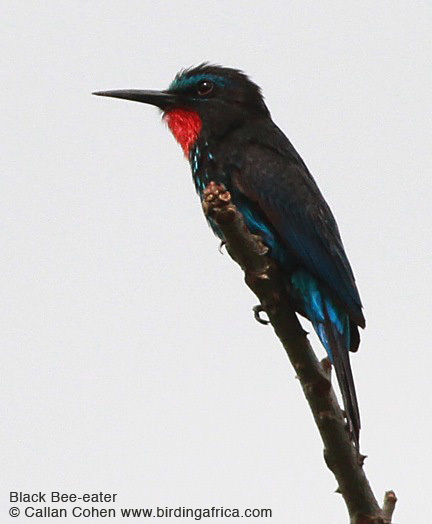 Birding Africa is a specialist birding tour company customising tours for both world listers and more relaxed holiday birders. We combine interests in mammals, butterflies, dragonflies, botany and other natural history aspects and will guide you to Africa's and Madagascar's most diverse birding destinations. Our guides' knowledge of African birds and birding areas is our greatest strength and together we have rediscovered species, shared exciting observations with the birding community and had a fun time exploring our home continent. 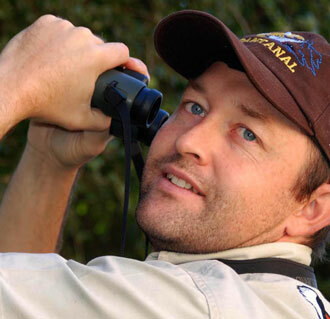 †We've even written two acclaimed guide books on where to find Southern Africa's and Madagascar's best birds. Birding is more than our passion, it's our lifestyle, and we are dedicated to making professional, best value trips filled with endemic species and unique wildlife experiences. Since 1997, we've run bird watching tours in South Africa and further into Africa for individual birders, small birding groups and top international tour companies. We've run Conservation Tours in association with the African Bird Club and work with and consult for a number of other top international tour companies and the BBC Natural History Unit.